Our Easter opening hours are: APRIL 2019: Fri 19 - CLOSED (Good Friday) Mon 22 - CLOSED (Easter Monday) [Sat & Sun we are closed anyway] We are open again on: Tuesday 23 April 2019. Happy Easter everyone! Share the love this Valentines Day..........with your boiler! Love your boiler and it will love you back! "Roses are Red, Violets are Blue. Quick call 'G20', To check-out your Flue!" Valentines Day is a great day to remember to book an Annual Boiler Service. HAPPY VALENTINES DAY!.....hope that it's filled with 'warmth' and romance! 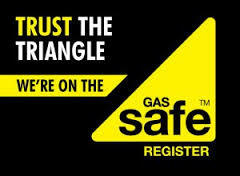 I would just like to close this year by saying a big "Thank You" to our wonderful customers for all their support over the past year(s) and for choosing G20 Gas Services. We cannot help everyone all of the time, but we do our-very-best to help as many people as we can. (Please remember to look at our self HELP … Continue reading Merry Christmas and Happy New Year! We understand that many of our customers struggle to understand their boilers, and don't want to keep ringing up asking for help, so we have now introduced a HELP page on our website. It is in it's infancy at the moment, but we will continually add links/ videos for some common functions that you can do safely … Continue reading HELP……is only one click away!